Officials: William Seeger of Eastport, 47, was airlifted to Stony Brook University Hospital where he was admitted for treatment of serious injuries. 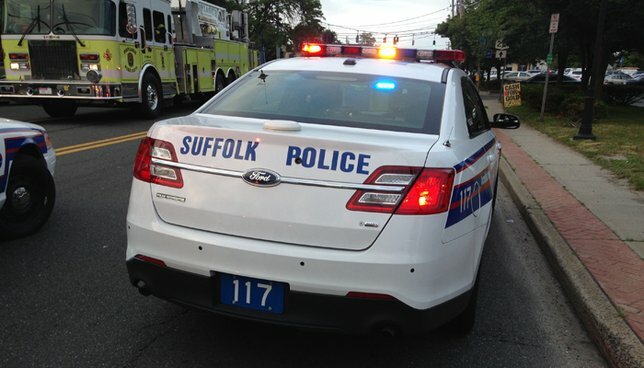 SCPD are investigating a motor vehicle crash that seriously injured a bicyclist in East Moriches. East Moriches, NY - July 5, 2017 - Suffolk County Police Seventh Squad detectives are investigating a motor vehicle crash that seriously injured a bicyclist in East Moriches on Wednesday, July 5, 2017 at approximately 7:50 a.m.
William Seeger was riding a bicycle northbound on Locust Avenue, attempting to make a left turn onto Montauk Highway, when he was struck by a 2010 Toyota Prius that was also northbound on Locust Avenue attempting to turn left onto Montauk Highway at approximately 7:50 a.m.
Seeger, 47, of Eastport, New York, was airlifted to Stony Brook University Hospital where he was admitted for treatment of serious, non-life-threatening injuries. The driver of the Toyota, John Gannon, 52, of East Moriches, who was alone in his vehicle, was not injured. Both the bicycle and Toyota were impounded and the investigation is continuing. Subject: LongIsland.com - Your Name sent you Article details of "Police Investigating Crash that Seriously Injured Bicyclist in East Moriches"